For some Chinese across Asia, the Mid-Autumn Festival or also known as the Mooncake Festival is a big deal, second only to Chinese Lunar New Year celebrations. What is Mid-Autumn Festival like where you live? Maybe because of I don't feast on mooncakes (I only like the pretty gift boxes), get together to gaze longingly at the moon (hello jade rabbit!) and stroll around the neighborhood carrying lanterns (I'm too old for that loll); hence I don't get the 'feel' of the festival. I don't even get to see many children playing with lanterns (glued to rectangle gadgets?) like it used to be. 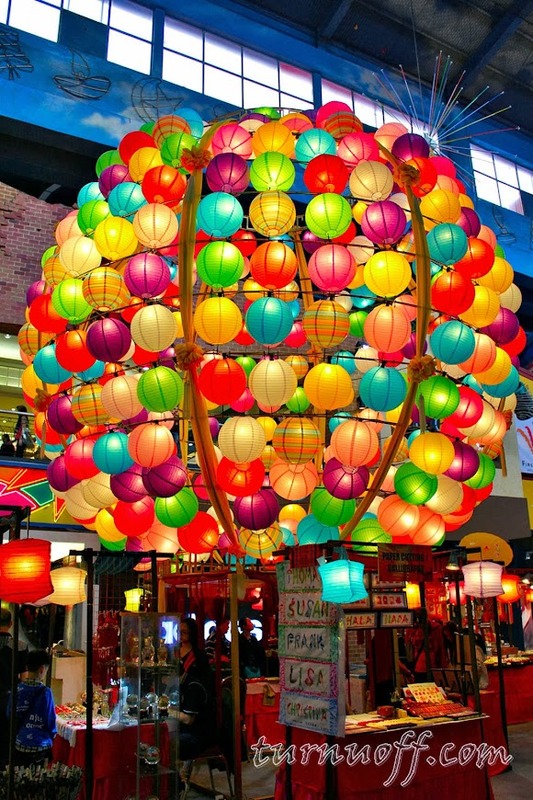 Whatever the reasons, I've always admired the beauty of displayed colorful and brightly lit lanterns. 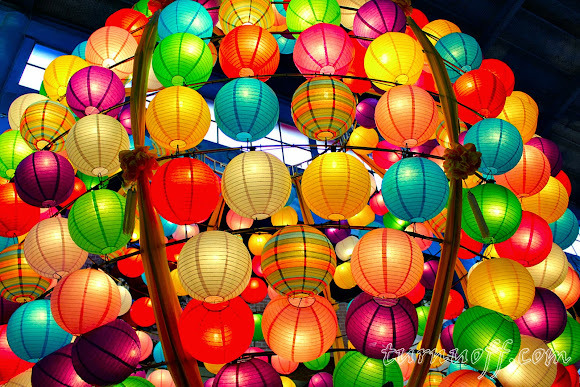 Ooooooh these round paper lanterns in a rainbow of vibrant colors are so pretty! While buying mooncakes as gifts the other day, I was like "Oh boy, why are mooncakes so expensive?" Ralph: "Because it's expensive to import them from the moon." Hope you had a wonderful Mid Autumn Festival!